The female entertainer recently made rounds on social media after releasing the controversial track which encouraged women to collect monetary advances from men before getting intimate. Following its release, it seems the song has managed to rub some fans the wrong way as many have accused the deejay of sending the wrong message to females and promoting prostitution. However, Chyn has hit back at these claims saying her message was taken out of proportion. She claims that the song was never written with the intention of promoting prostitution but rather encouraging women to look out for themselves. According to Chyn, once a woman is intimate with a man he should be obligated to help her financially. She claims these “nowadays men” want to receive but doesn’t want to give, and that is unacceptable. The deejay went on to claim that women should secure benefits from the relationship in case the man decides to leave, that way they at least have something to show for their time invested. 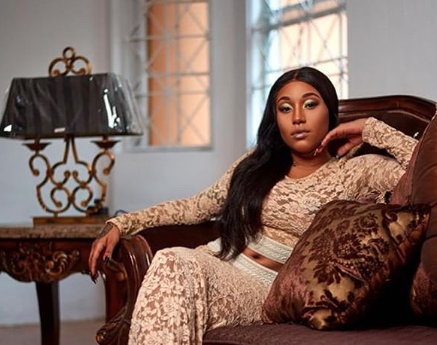 The “Boss Chick” entertainer says she is unbothered by the backlash, pointing out that she is not the first entertainer to promote such a message as others such as Shabba Ranks have done so in the past. Despite her defense of the song, the deejay was also quick to clarify that she had no issues with prostitutes, as she believes they are hard working women just trying to earn an honest bread. Stream a snippet of Shauna Chyn’s new “Suicide” single below.